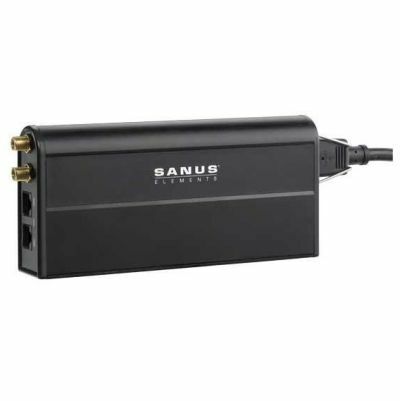 On June 2, 2011 the Sanus Elements model ELM-205 Low-Profile Power Conditioners/surge protectors have been recalled by Health Canada. The words "SANUS ELEMENTS" is printed on the front of the unit and the model number and date codes are printed near the UL logo on the back. Improper grounding of the case and inadequate insulation for the circuit breaker poses an electrical shock hazard to consumers. At time of the recall neither Health Canada nor the company has received any reports of incidents or injuries to Canadians related to the use of these affected surge protectors. You should immediately stop using the product and contact Milestone for a replacement product or refund. For more information, consumers may contact Milestone toll-free at 1-877-894-6280 between 8 a.m. and 9 p.m. CT Monday through Friday and between 10:30 a.m. and 7 p.m. CT Saturday and Sunday, or visit this website. Approximately 200 units of the affected surge protectors were sold at various Independent home theater dealers/resellers. The affected surge protectors were sold June 2009 through December 2010. These recalled products were manufactured in China. The manufacturer is Milestone AV Technologies, of Savage, Minnesota. Have you taken control of your insurance? If you manufacture, distribute or retail goods to the public then you need to consider product recall coverage. Whether it is your auto insurance or your business policy you need to buy what is best suited for your continued and profitable operations.